WE KNOW CHARLESTON. OUR LOCAL KNOWLEDGE RESULTS IN BETTER REAL ESTATE OPTIONS FOR YOU. Our business is about getting the most for your money. Basic to this is an acute understanding of the local real estate industry. 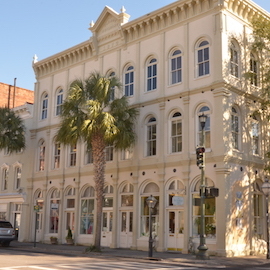 Because we manage so many properties here, we have a street level sense for the Charleston market that is unsurpassed. This street sense often times gives us a leg up on what’s available and when. Simply said, the more we know about the market, the better we buy in the market. And nobody knows more about what’s going on in the Charleston market than we do. Getting the most for your money has to do with great customer care. We are driven to make the complex business of commercial real estate as simple as possible for you, our client. Fundamental to customer care is customer communication and we are driven to see that you get all the information you need, not one bit more, not one bit less. And because we take the time to get to know you and your needs, whether you are an investor or business owner we’ll know how to best serve your needs. At the end of the day, our ability to deliver successful real estate experiences comes down to being the best at knowing two things: we must know the market, and we must know you. Come meet the people here at Southeastern Management Group that would like to work a little harder with you, to earn a little more for you. Visit us at 151 King Street in downtown Charleston, SC or contact us online.